Fabprankcalls.com provides an easy-to-use service for you to instigate a hilarious prank call on a friend or colleague. Our prank phone lines run 24/7 so you can play a prank on someone any time of day, and day of the week! 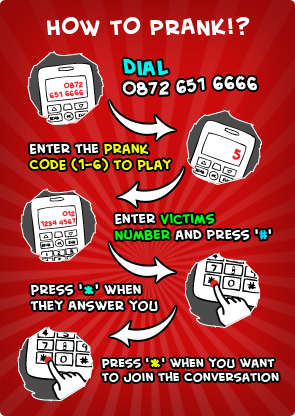 You, the caller, control this prank via your telephone keypad. 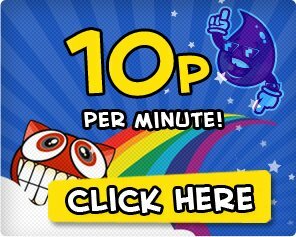 Monday to Sunday, Day or Night, this number will only cost you 10p per minute from a BT landline, other networks vary and mobiles will be higher. This is the cheapest prank call service in the UK! Choose a prank from our list. Call 0872 651 6666 and make sure you have the victim's phone number ready. Listen to the main menu options. Enter the number of the prank you wish to play. Enter your victim's telephone number, and press '#'.
' when they answer to commence the prank. Your victim will think they are speaking to a real person. Hear the phone call and the victim's reaction without them knowing you are listening in! Your call will end when either you or the victim hang up.